Whenever it is possible, I try to take a few days off every year during my birth month to get away from the weekly struggles of work and life, and go on an adventure. This year I was able to make it happen so my son Tyler and I packed up the car and headed North for a much needed and well deserved vacation. 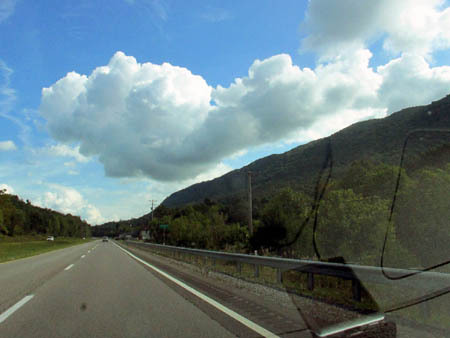 Our first destination would require a two and a half hour drive as we planned to visit our good friend John ‘The Gnome’ Forbes aka Dr. Forbes who was working as a guide at the Breaks Interstate Park which is on the Virginia / Kentucky border. I had been there before yet, like most people, was unaware of all the amazing things the park has to offer. John had been working there long enough to intimately know every square inch of the park and then some so, he could show us most of the major highlights during our 3 day visit. We arrived early in afternoon and found him in his ‘gnomular home’ jamming out to some very loud music ! The first order of business would be to order up some food as Tyler and I had not eaten due to the lack of commercial establishments available in this extremely backwoods part of the country ! The Breaks resort restaurant serves up some very good vittles so as soon as we consumed them our adventure would begin. Posted on 1 February '19 by admin, under RATtreks. No Comments.